"Marc Faber: "We Are In A Gigantic Speculative Bubble"
Robert Shiller, who won the esteemed award with two other Americans for research into market prices and asset bubbles, pinpointed the U.S. stock market and Brazilian property market as areas of concern. "I am not yet sounding the alarm. But in many countries stock exchanges are at a high level and prices have risen sharply in some property markets," Shiller told Sunday's Der Spiegel magazine. "That could end badly," he said. "I am most worried about the boom in the U.S. stock market. Also because our economy is still weak and vulnerable," he said, describing the financial and technology sectors as overvalued. ....."There, I felt a bit like in the United States of 2004," he said, adding he was hearing arguments about investment opportunities and a growing middle class that he had heard in the United States around the year 2000. 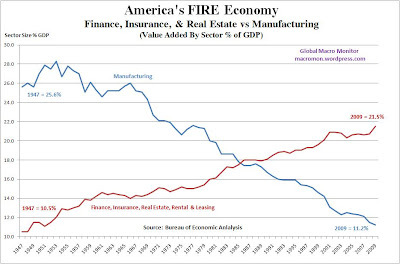 The collapse of the U.S. housing market helped trigger the 2008-2009 global financial crisis. "Bubbles look like this. And the world is still very vulnerable to a bubble," he said. Dow 20,000 here we come: It’s different this time (N.d.R. io ve lo anticipai già nel 2010...ma tanto...chissenefotte...e feci persino UN OROSCOPO....) Commentary: We need more irrational behavior to create a real bubble By Michael Sincere Watching the Dow Jones Industrial Average top 16,000, many investors are hoping this market is in a bubble (so they can shrewdly buy stocks at lower prices when it pops). But we have a long way to go for that. ....more irrational behavior to create a real bubble??? 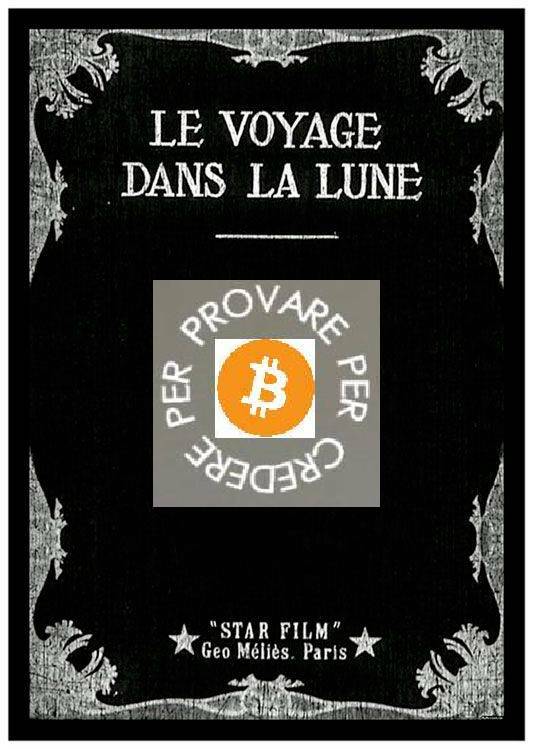 In ogni caso OKKIO a cavalcare la Grande Onda! 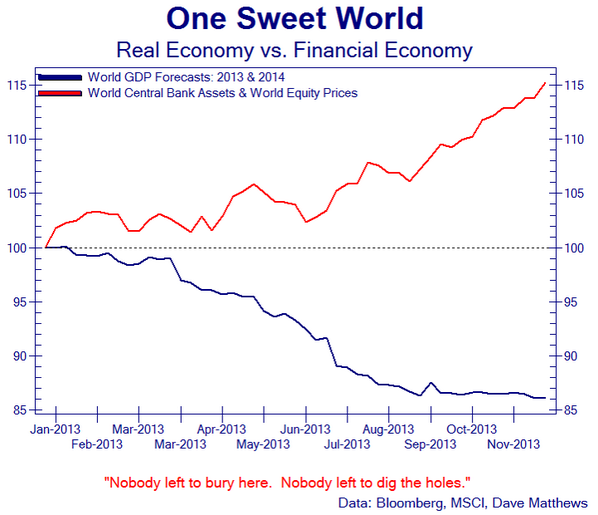 "When They Say The Global Economy Is Growing They Really Mean This..."
E nei 25 anni successivi alla Manifattura non resta che mangiare la polvere....della Finanza...(notare la mega-divergenza dal punto di incrocio in poi). 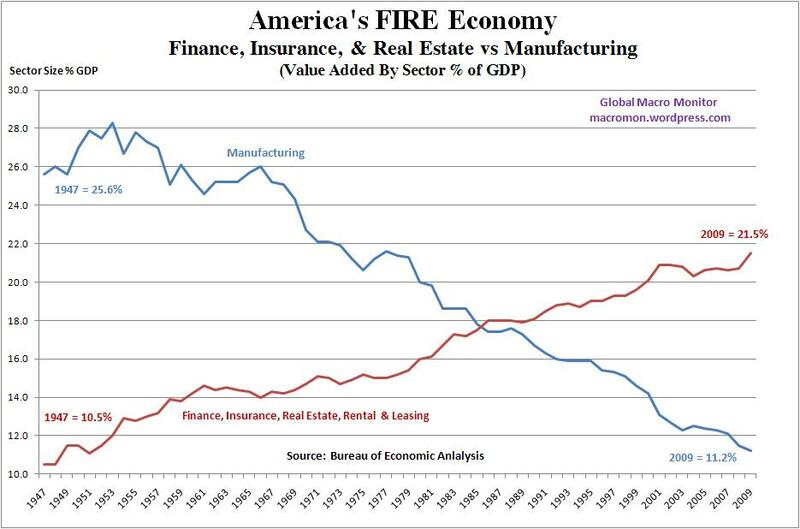 Rispetto al PIL USA, nel 2009 il peso relativo era al 21,5% per la FIRE Economy contro l'11,2% per la Manifacturing Economy.